Picking a budget friendly phone doesn’t really mean that you’ll purchase a phone with low specs. 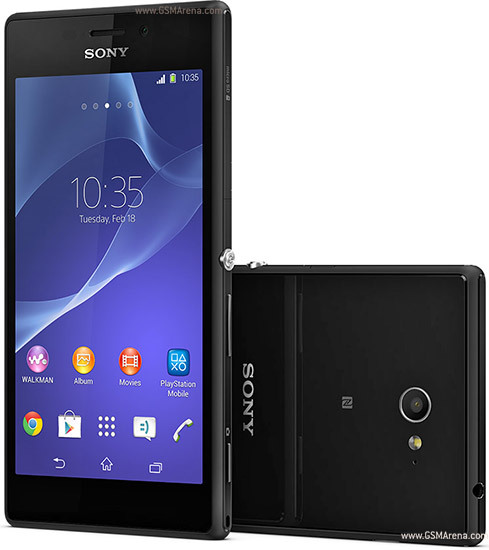 Over the years, these mobile devices have blossomed into smartphones with a smaller price. So for those who can’t afford to buy the best smartphones like Samsung Galaxy S5 and Samsung Galaxy Note 3, you may find the budget phone you want on the list of budget friendly smartphones mentioned below. Currently, there are manufacturers in the market today that offer mobile phones with quality specs but also come in a low price. These phones contain the same features that you’ll find on advanced smartphones. These are usually cheap because they have been stocked for some time or they probably lack few special features that you will see on expensive smartphones. Samsung unveiled new budget friendly smartphones to cater those who can’t stretch their wallet for those expensive smartphones on the market. Now, whether you are rich or poor, Samsung has you covered with a device that will definitely fit your need. 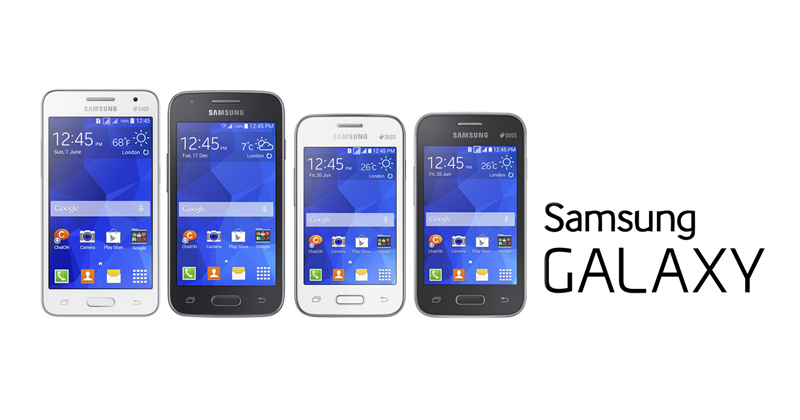 They recently launched their new line of budget phones such as the Samsung Galaxy Ace 4, Galaxy Core II, Galaxy Young 2 and Galaxy Star 2. 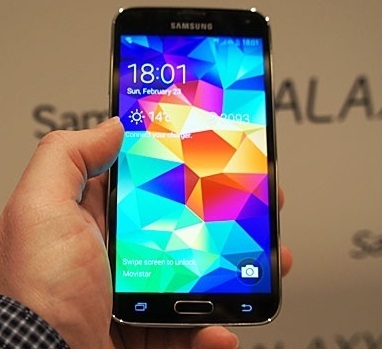 These smartphones may all be running the latest version of Android with a lightweight version of TouchWiz. Also, the camera and other features are improved on these devices. But if in case you are not satisfied with their features, you may purchase some high end accessories to make your smartphones look awesome and perform just how you want it to be. There are several accessories out in the market today in which you can purchase like the detachable camera lenses that can make your images looks like it was taken by a pro. You may also want to add a remarkable piece of device like microscope. 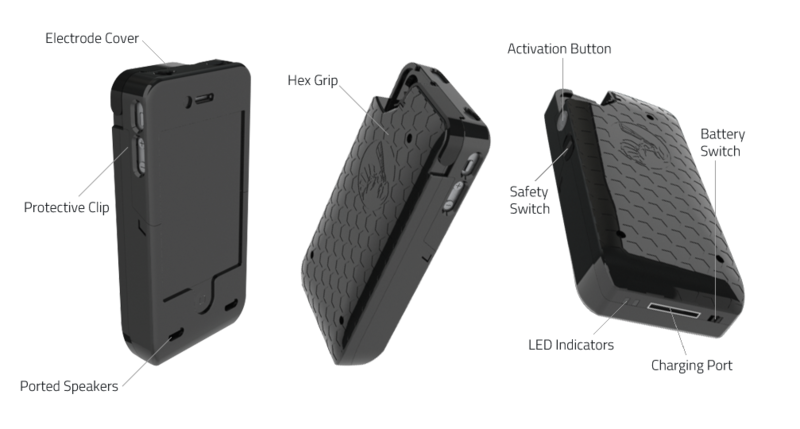 This Catalyst Frame microscope lets you turn your smartphone into a literally a microscope. 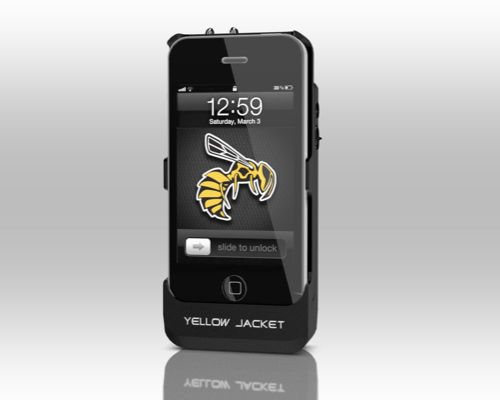 With the help of these amazing accessories, your budget phone will transform into an awesome piece of mobile device. You don’t have to buy an expensive smartphone especially if you can’t really stretch your wallet for it, just choose the best budget phone that will suit your wants and needs so you can enjoy your phone without forcing your wallets and bank accounts. These new lines of budget friendly smartphones may be one of the smartphones that you’re looking for. With their specs and features, these smartphones will surely be a hit to those consumers with lower budget for a smartphone. It’s that time of the year again where giant mobile brands show-off their big guns for the world to see and crave for. Companies like Apple and Google are rumoured to release their smartphone flagships sooner or later this year. With internet chitchats here and there about Apple’s iPhone 6 and Google’s Nexus 6, it’s just reasonable to accompany these amazing phones with an Operating System (OS) as grand as its platform. There’s also the release of new tech inventions for smartphone later this year or early next year and everyone’s expecting that these will be iOS 8 and Android Lollipop friendly. We’ll see in a couple of months then. Now it’s a question of which has the bigger gun? As iOS 8 takes its limelight this coming fall, many tech geeks approve of Apple’s new found freedom. 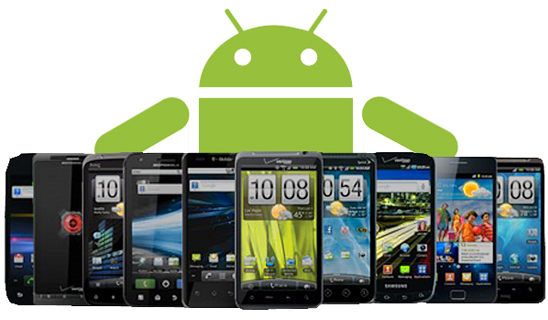 Android became a favourable operating system because of its leniency to open source and third party apps. It’s like a one big happy community of developers and users. And now, Apple is rumoured to adapt that kind of environment by giving developers amazing perks to work on with—i.e. tools and significant iOS access to create more apps for the demanding digital needs of Apple users. With iOS 8 taking the competition higher, Android should develop new features to keep the dice rolling on their side. It seems Android is not the only one testing our sweet tooth. Apple has prepared a what-to-expect page of its iOS features, and we can’t wait to dig in our teeth. With the new iOS 8, every photo, edit, album can now be viewed on all your iDevices, so shifting from your iPhone to your iPad to your MacBook has never been so convenient. Apple also improved its health and fitness aspects by integrating these two into an easy-to-read data dashboard your trainer or doctor will surely thank you for. It is even anticipated that iOS 8 will allow the iPhone camera to be a credit card scanner via Safari browser. This is great news for those who love online shopping. The keyboard and touch ID were also reconditioned, so expect a better typing experience and added security on some apps. It is not yet confirmed whether the new Android operating system will be named 4.5 or 5.0, but this new update will definitely send us to La La Land. There are a lot of rumours, expectations, and wish lists roaming around the internet. 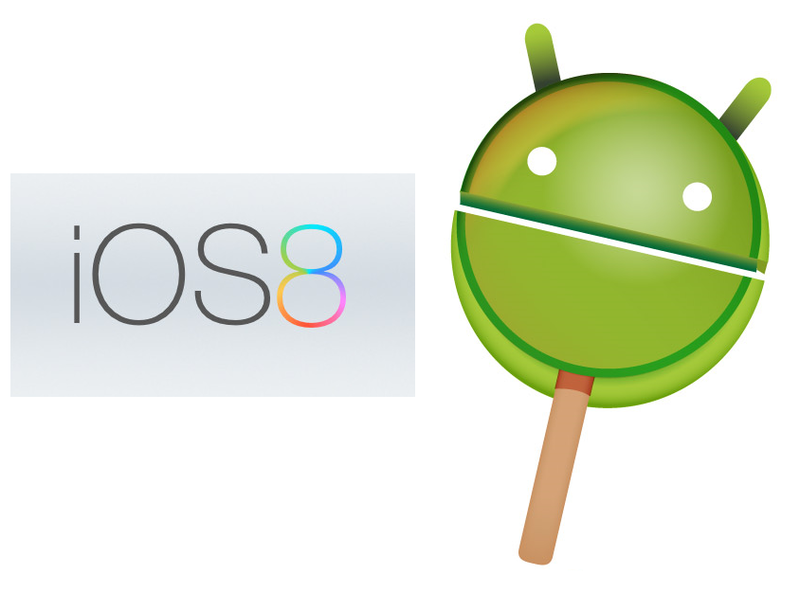 Here is a quick rundown of Android’s next OS which we’ll assume be named Lollipop. Android Lollipop is rumoured to have a flatter and cleaner look with redesigned familiar icons like Gmail, Maps, Hangouts, Youtube, Play Store and calendar. Google Babble is also developed into a one-stop rendezvous of communication services. It’ll be like a cross-brand combo of Google Talk, Hangout, Messenger and more, all in one Babble umbrella. Now that’s how you stay connected. A better battery life, a more user friendly fingerprint scanner and face unlock are just few amazing improvements which await you in the next Android OS expected to be released this coming July. So, you just bought your new iPhone or probably just upgraded to an iOS 7. Great! You feel cool and well, proud. Needless to say, you have to buy accessories for your iPhone in order for you to maximize it’s genuinely entertaining prowess. But did I forget to mention that iPhone accessories do not come cheap? Well, it’s made by Apple, as in A-P-P-L-E, this name comes with a price. If you are saving yourself some bucks, you probably won’t go to the Apple store, the most obvious one is to go to online stores or probably set a meetup with someone you know (and trust) and buy a preloved/second-hand/used accessory, whatever you call it. You might also want to buy a new one for a lower price. However, in buying iPhone accessories, specifically Connectivity Cable, not directly from Apple also means having the risk of buying fake ones. Nowadays, it is hard to tell the difference between a genuine and a knockoff Lightning cable since manufacturers of fake iPhone accessories are getting smarter too. It will be harder for a new iPhone user. Of course, everybody knows your Lightning cable is your iPhone’s BFF, so you should be buying only original ones. First, take a look at the 12 or 14-digit serial number. It is imprinted next to “Designed by Apple in California Assembled in China. You can find it about seven inches from the USB connector. Usually, the knockoffs don’t have this and if they do, the shade is usually dark grey. Also, examine Lightning connector. This might give you a hard time, but if you’re going to look at it closely, you can see that the original one on the right has a perfectly rounded corner while the white piece of the fake one is somewhat squared. Also, the fake one is slightly longer than the original. If you are going to examine the metals, you can see the difference. The knockoff on the left has grainier finish compared to the original one. 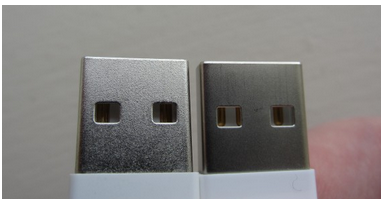 It has something to do with the quality of the metals used in the USB plug. 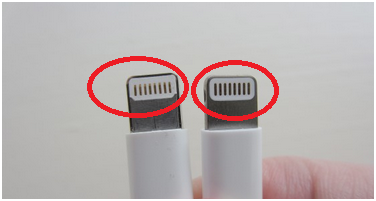 Genuine Apple products have high-quality materials compared to knockoffs. Who would have guessed that the greatest help would come from your iPhone itself? Yes, if your iPhone is already running on the latest iOS 7, your iPhone can detect fake lightning cables. Thanks to built-in authentication chips of certified Lightning cables. 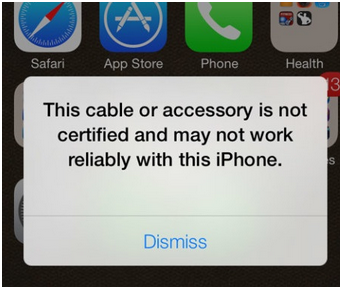 Your iPhone won’t charge and will display a warning message once you plugged in a fake Lightning cable. Now, that’s what you call a genius blocking. Oh wait, there are rumors that Apple iPhone 6 is coming to town this year. Who knows if this new device will help you even more in spotting fake accessories? 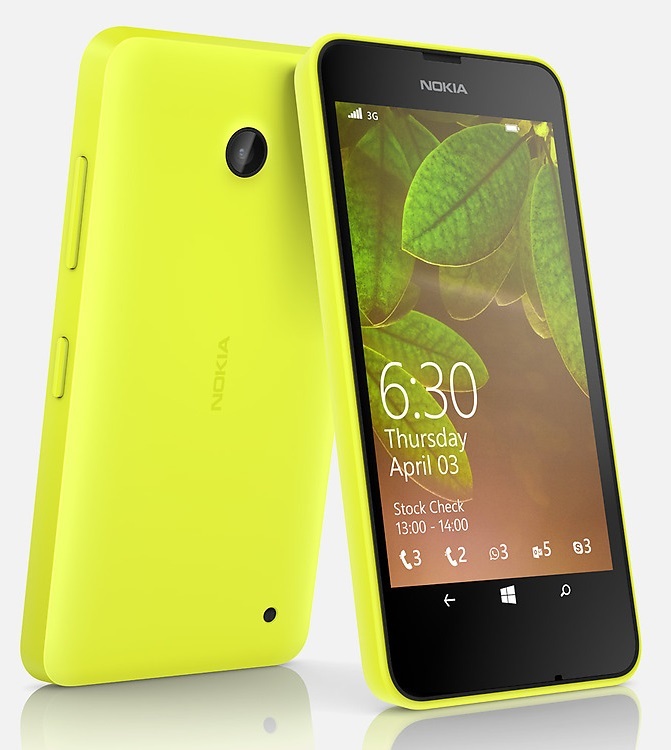 The smartphone industry was greatly astounded when the 41-megapixel camera smartphone Nokia Lumia 1020 was released on the market. The device became an instrument in creating a competition in the industry in producing an imaging apparatus that captures pictures with unmatched quality. As a response, other smartphone companies like Apple managed to keep up or somehow raise the bar in terms of mobile camera features. The current flagship Apple smartphone the iPhone 5s was integrated with a faster, better camera with its enhanced built-in features like a continuous burst mode, larger sensor, resolution, and aperture, auto image stabilization, the True Tone flash, and a bunch of photo filters. Obviously, the competition is alive. Well, one of the most sought after features of a smartphone is its camera; hence, it is but normal for manufacturers to come up with a flagship device that packs a cutting-edge camera. Perhaps, image resolution is just one factor in the overall ingenuity of a mobile camera, but we can never deny the fact that the more pixels there are, the clearer an image becomes. And this is what exactly what the Chinese smartphone manufacturer Oppo had in mind when it decided to come up with the Find 7. The Oppo Find 7 will be the first device of its kind to be incorporated with a camera that can snap 50-megapixel images. With that amount of pixel density, you will be able to see the finest ridges of a silver coin or the passersby on a busy street when you’re atop a hundred-meter skyscraper. The device achieves the 50-megapixel quality image by using a software to stitch together the best 4 images out of the 10 consecutive shots captured from a 13-megapixel Sony IMX214 CMOS sensor. As a result, you’ll have an amazing photo with clear detail. The 50-megapixel quality may be the hallmark of the Oppo Find 7, but it most certainly doesn’t just end there; the Chinese-manufactured smartphone also packs the most powerful specs ever seen on a handheld device. 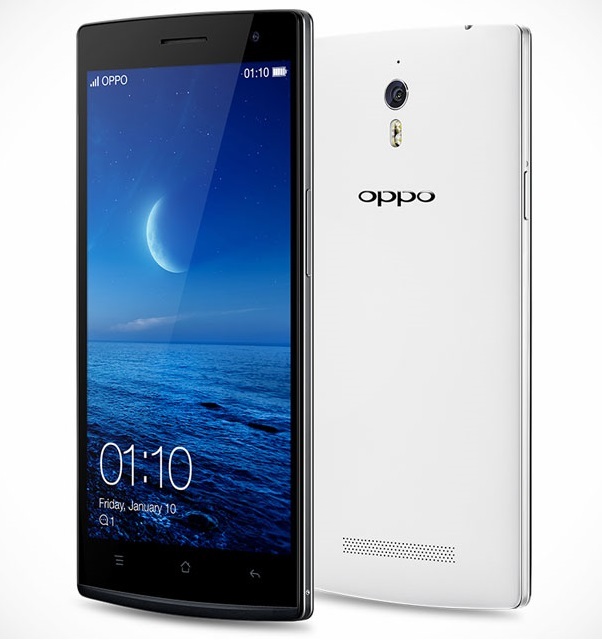 Actually, same as with the strategy of Apple with its latest iPhone release, Oppo will be launching two variants of the Find 7: the fully-featured Find 7 to be made available in May or June and the more affordable Find 7a arriving earlier in April. The more powerful version will boast a quad HD (2560 x 1440) display that is perfect for viewing the 50-megapixel shots you take. 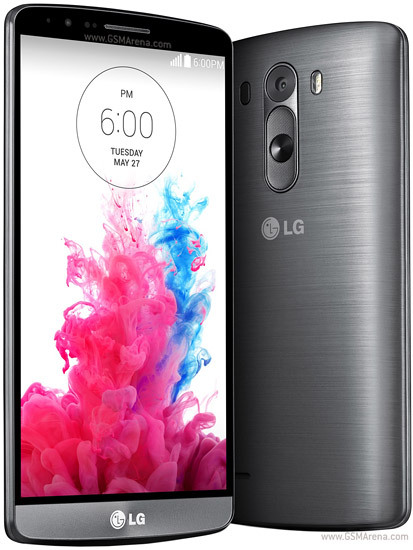 Moreover, it will be powered by a 2.5GHz Qualcomm Snapdragon 801 processor with 3GB RAM and a 3,000mAh battery. With that power, you can be able to run even the most taxing of apps seamlessly. On the other hand, the more affordable version will feature a 1920 x 1080 display, 2.3GHz Snapdragon 800 processor, 2GB RAM, and 2,800mAh battery. Both units will feature Gorilla Glass 3 and will run Android 4.3 Jelly Bean. Storage space won’t be a problem because aside from the 32GB (Find 7) or 16GB (Find 7a) internal memory, both can be expanded up to 128GB with a media card. The former is expected to be retailed for $599, while the latter is expected to cost $499. Smartphones are designed to fit a specific demographic of consumers, and if you are one among many who takes imaging seriously, then the Oppo Find 7 might just be your most awaited device. There’s no need of any mobile accessory to make this smartphone even better, for it is in itself an outstanding handheld device! Could the HTC One M8 Be Your Mate? 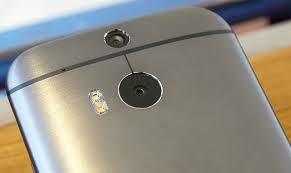 The blogosphere has been abuzzed with the release of HTC One M8. It is yet another smartphone that all techno-geeks could ogle about. Yet, do you think that the HTC One M8 has something to offer that could steal the limelight away from the Samsung Galaxy S5? 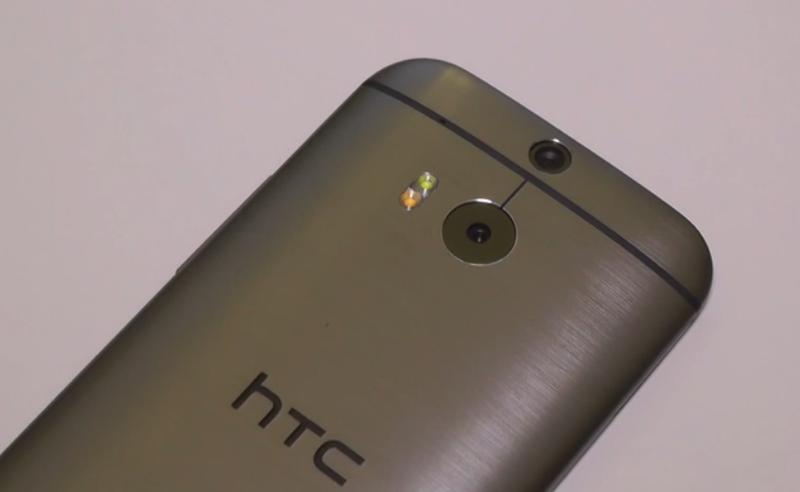 Or in other words, could the HTC One M8 be actually your mate? Let’s find out if the HTC One M8 is better than the Samsung Galaxy S5 before you could match it up with accessories. Evidently, the first thing you’d notice with the HTC One M8 before you could even get a hold on it is its appearance. This may not matter to everyone, yet there are plenty of people who actually appreciate the premium feel of the design. And I, for one, appreciate this eye-candy with its all metal body and brushed metal finish that goes along with its natural curves for a comfortable fit. This neat device sure is crafted to perform with the tricks up its sleeve. Now, who could forget the best of last year’s HTC One that is the BoomSound stereo speakers? This gem rolls out also with the HTC One M8 to continually satisfy all the audiophiles that aches for an audio with punch! You’ll definitely enjoy the dual front-facing HTC BoomSound speakers as they create an audio soundstage to amplify the audio experience and bring music and video to life—you need to plug your mobile earphones in to pick out the slightest noise in the mix! The pristine HTC One M8 device also flaunts its glory through its screen display that has a true to life color quality. Vivid colors of the display could actually make one’s eyes spoiled as the HTC One M8 uses a slightly higher color range that is more accurate compared to the AMOLED display used in the Galaxy S5. If you’re a person who enjoys snagging out photos—and yes, the selfies—then, you can also relish yourselves with HTC One M8 duo camera that now has a refocus feature effect. Now, you can never lose focus as this pretty neat feature brings objects into focus, even on photos you’ve already taken! And if you’re more on shooting videos, then you can enjoy with the stunning quality of the recording with 12 different video themes to add sizzling effects! So, which will it be? The Samsung Galaxy S5 or the HTC One M8? While Steve Jobs may have left the most famous Apple Company for good, Apple does not stop making iPhone die hard fans crave for more of the well-known smartphone. Apple continues Steve Jobs’ legacy in providing consumers a one-of-a-kind smartphone experience as rumours about the release of the anticipated Apple iPhone 6 has been a hot potato. From a personal computer kit as their first product, now comes the Apple iPhone 6, Apple never failed to surprise and satisfy consumers with high-rolling features one smartphone can offer. Features are not the only thing an Apple iPhone can boast, but also its sophisticated style and portability. Much has progressed when it comes to Apple iPhones. Starting from the Apple iPhone 1st generation, now Apple is set to welcome its new baby, the much talked about Apple iPhone 6. Rumours about the new Apple iPhone have spread like a wildfire. Previews, press releases, and all sorts of what-not have come to the attention of consumers. So what does the ever loyal users of Apple iPhones have to expect with the Apple iPhone 6? One thing that sets apart Apple iPhones from other smartphones is its elegant physical appearance, so should we expect a change on its physicality? iPhones, especially the latest models have had their screen with just a bit of difference in their sizes. But could it be true that the much awaited Apple iPhone 6 will bear a much larger screen than the usual, and that Apple will release two versions of the Apple iPhone 6 with different sizes? Images have got about the net showing what could possibly be a larger screen and a thinner depth. That said, can we then bank on for Apple iPhone 6 to feast our eyes with brighter and clearer images with HD resolutions? 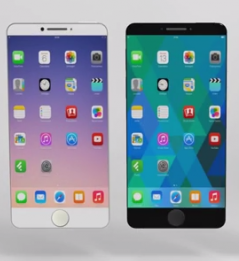 Or could it just be one of the existing iPhones bearing almost the same screen size and resolutions? Well, here’s another deal that will just make you think of switching to Apple iPhone 6, or not. Bizarre as it may sound, articles say that the Apple iPhone 6 will boast a screen made of Sapphire. Yes, you read that right. A screen made of Sapphire. Whilst having a screen made of Sapphire means a scratch resistant screen and a tougher one, having a Sapphire screen also has its cons. Sapphire is a lot heavier than the Gorilla Glass used with other smartphones and is environmentally unfriendly. Plus, it costs a lot more expensive than the usual materials used with the existing smartphone screens. 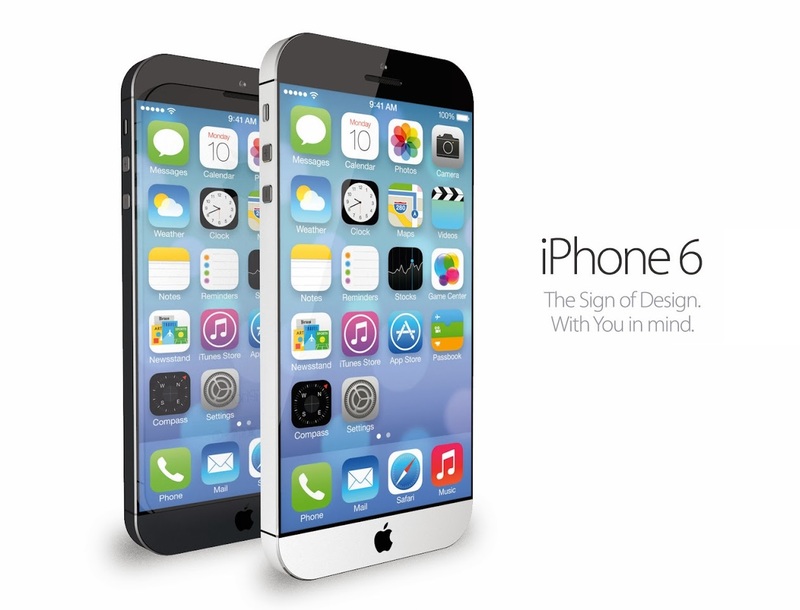 Now let’s come to what the Apple iPhone 6 has in store for us when it comes to its features. Everyone’s aware how Apple has helped people making lives a lot more convenient. So what could be another aid Apple can possibly give us? The iPhone 6 could possibly be geared up with its own barometer allowing people to monitor weather condition. Its camera as well is rumoured to have an upgrade. Front cameras will be having their censors as well. Its Wi-Fi features will be upgraded too. Rumours spread that the iPhone 6 will have a faster WiFi with an increased coverage by up to 30%, plus making your iPhone power efficient. So how about wireless charging? Now, that’s a lot more convenient. A little hearsay says that Apple is planning to introduce wireless charging starting with the iPhone 6. But wait, wireless charging isn’t the only thing new with the Apple iPhone 6. The said iPhone to be released was rumoured to have an Apple stylus which is definitely new for iPhone users given that the previous Apple products never had a stylus. A lot of tittle-tattle has spread around the net relating to the release of the Apple iPhone 6 and all the cutting-edge features it could offer. Articles, press releases and rumours are indeed compelling and make you think of spending a lot of breads just to have one. But wait for the official release of the Apple iPhone 6 and maybe then you can decide if the entire buzz about it is palpable or just a mere hearsay, and think again if all the breads you are willing to spend for it will be worth it. 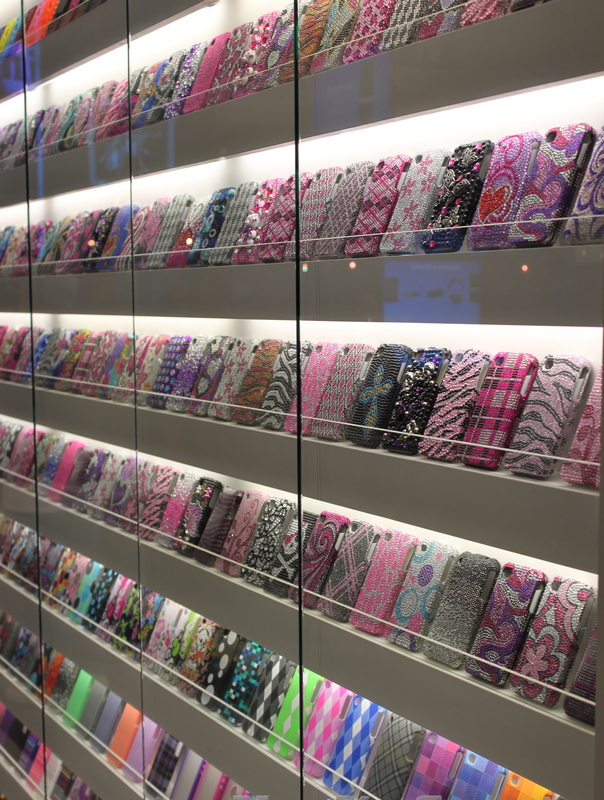 Which Cell phone Case Will Best Suit You? 1. First off, consider your budget. Of course, would you splurge cash you do not have? It’s important to check your pockets first, or you’ll be surprised on how big holes had gotten there. If you have the dough, then there might be no problem. 2. Make a habit of reading feedback. This is essential when you’re buying online. You should look for a company that gets great feedback. From there, you won’t have to dig more in to know if the items are good or not. What perks does it give in knowing the company’s reputation, you ask? You won’t be dissatisfied on the items you will buy, for you are well equipped with the feedback of the previous buyers of their products. It saves you time; it saves you money. 3. Know your style. There are various types of styles, and I’m pretty sure that you have your own. Choose what gives you tingling sensation of happiness and vivid feelings just by seeing the object. If you’re the type of person that is into gothic, of course would you buy bright colors? First, consider the colors that fit your personality. Then, choose the design that is more than meets the eye. How would you know that? Use your own judgment, not the salesperson, for they will use sugar-coated words just for you to buy their items. 4. Great in aesthetics, what about quality? Yes, you have an eye-catching case indeed, and with your excitement of showing it to your friends, it slipped through your hand, and bam! There goes your magnificent shattered case with your shattered heart, which brings you back to the first step. Is it worth the splurge? Don’t always go with the cheapest item, for sometimes, it compromises its quality. On a lighter note, having your all-new-case shattered would hurt more than splurging your cash just a little, wouldn’t it? 5. Never be satisfied without comparing. It’ll take a bit of your time, but don’t settle immediately on a cell phone case without even giving a glance on the other options. 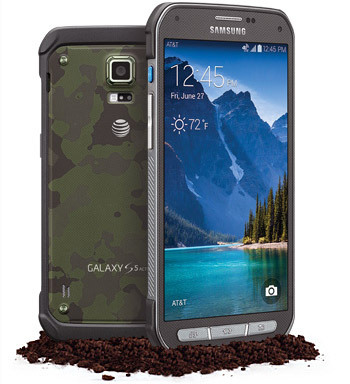 Or in the end, you will find yourself regretting on buying a case right away without considering other designs. Take time, and you’ll find real satisfaction on finding the finest cell phone case you’ve always wanted to have. Well, that’s it for the tips that you need to know. Still want to jazz-up your phone more? 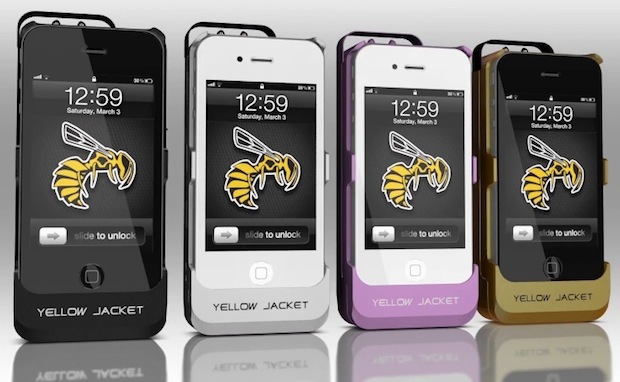 You can also consider looking for accessories for mobile phones and jibe it with your all-new-perky cell phone case.